If you've been following along on Instagram you'll know I've gone fairisle flower crazy! I've been stitching this floral motif onto anything that stays still for long enough. It all started with this phone pouch I made a while back. 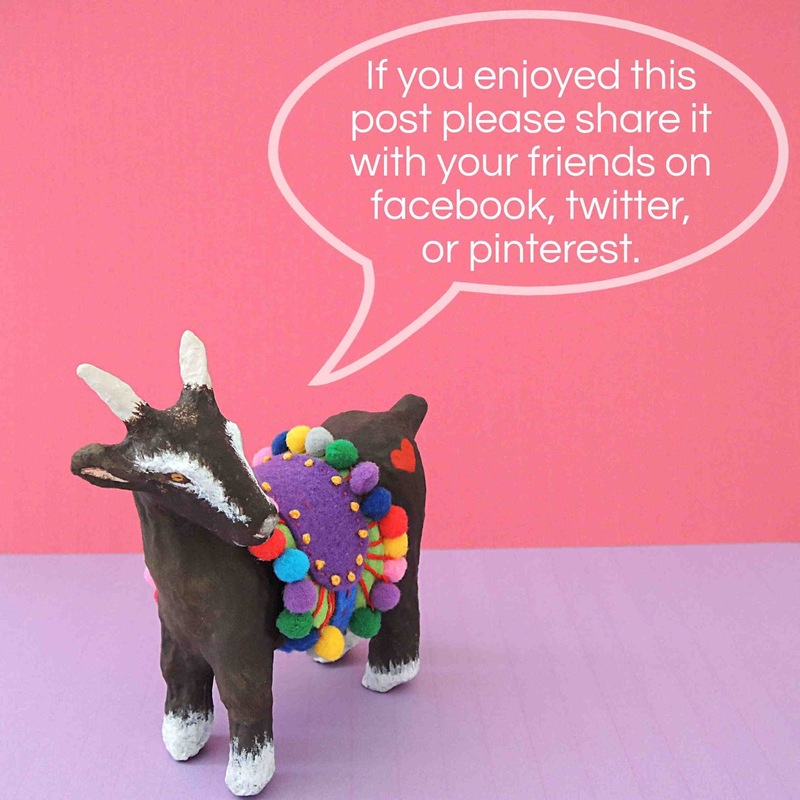 If you'd like to make your own, you can! Check out my DIY: Plastic Canvas Phone Pouch tutorial for everything you need to know, but do come straight back otherwise you'll miss out on all of the tape measure goodness. 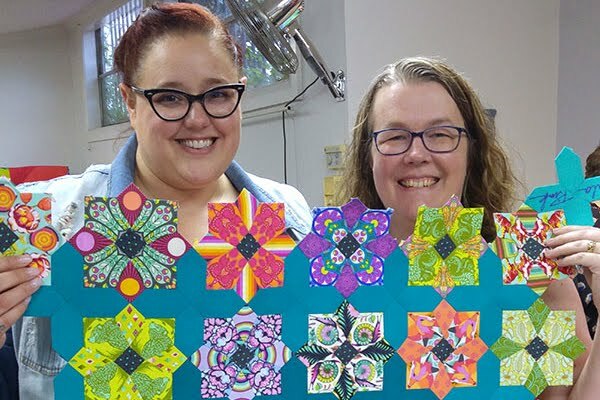 After that my creative juices got distracted and I moved away from this Scandi flower until I wanted to make a gift for my lovely friend and talented quilter, Krista. I wanted something I could hand stitch, make in an afternoon and that would be useful to a sewing fanatic. 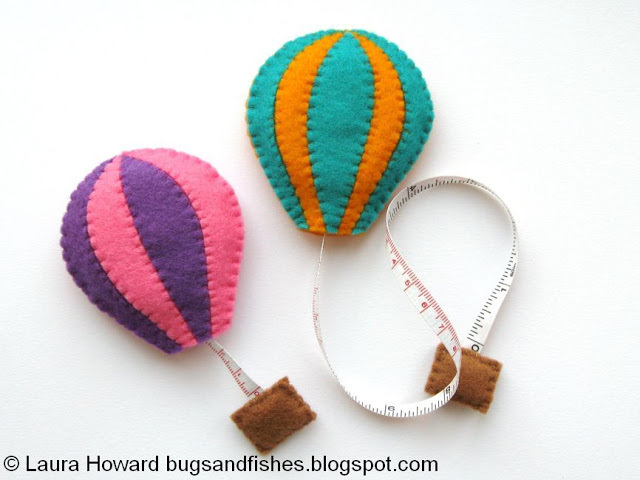 I cast a line into my mind vault (my brain's version of Pinterest) and remembered these super cute hot air balloon tape measures Laura Howard of Bugs and Fishes made with felt. Whenever I see these, I imagine tiny folks in the baskets being whisked up and away on measuring adventures. I love 'em. Laura kindly shows us how to make them in her excellent Felt Hot Air Balloon Tape Measure Tutorial. I also remembered seeing this vintage plastic canvas pattern on Pinterest for these sticky tape dispensers and, Wham Bam, a new idea was born! I must be able to cover a tape measure in plastic canvas, right? Wrong. Well, not on the first go anyway. My first three attempts were a frogging disaster, it was a yarn massacre. I cut the canvas in the wrong places, I didn't make them deep enough to accommodate the tape measure... in the end I got so frustrated I mangled the plastic canvas altogether. Thankfully attempt no.4 ended with a functioning covered tape measure. Here it is in Krista's sewing basket! I was happy enough with how this first one turned out, and I know Krista loves it, but it isn't perfect. The tape occasionally gets stuck and I find that a bit annoying, I want things to look gorgeous and work well every time. I gathered my designer's grit and figured out what was wrong and how to improve them. I got hold of better quality tape measures to pop inside and I made the plastic canvas casing a bit more roomy as I found the tape doesn't get stuck if it's got a bit more room to move. I've tested them sooo many times and the tape slides beautifully back in with a gentle squeeze every single time. Success! I've made three more so far but I can see more on the horizon. They're fun to make, so tactile and would be such cute gifts for craftsy souls. I want one in every project bag! I even went on to make matching needlebooks to go with them, I was enjoying sewing the motif so much. There's three sets altogether and I'll be giving one away here on my blog and I'm planning to show you how to make your own soon. 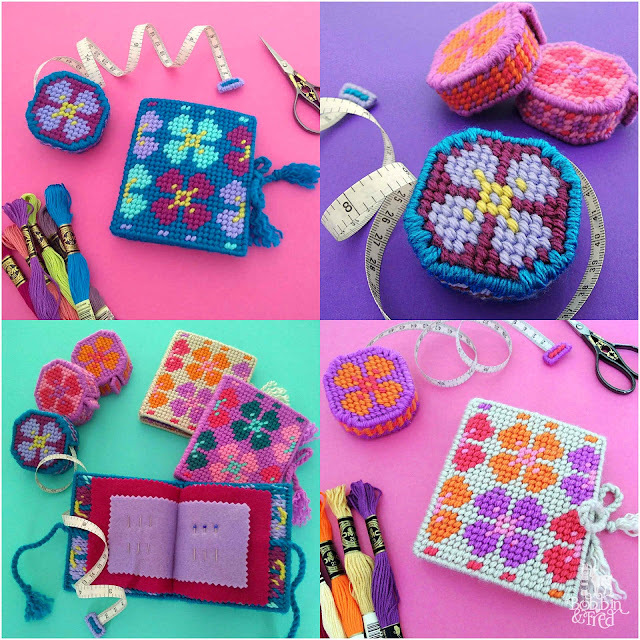 Would you like one of these sets in your project bag? Keep your eyes peeled and sign up to my newsletter so you don't miss a thing! I'll be back soon with more stitchy adventures... until then, have a flossy good time! Thank you so much! 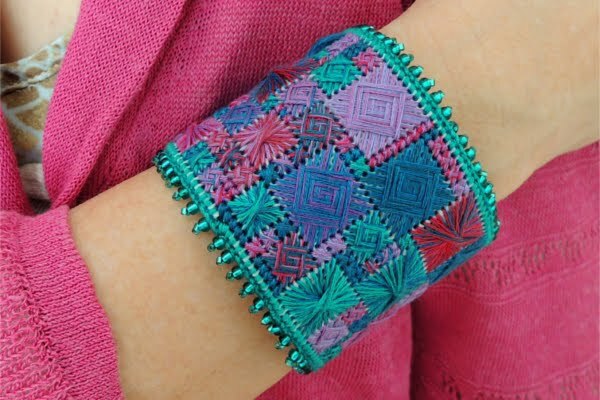 Yes, it is so versatile and it's lovely fun to find ways to cover things like this that you wouldn't expect to be hand stitched.